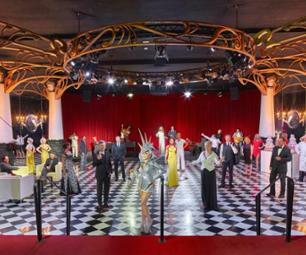 Make the most of these four days to immerse yourself in the culture of Montreal and explore this stunning city. 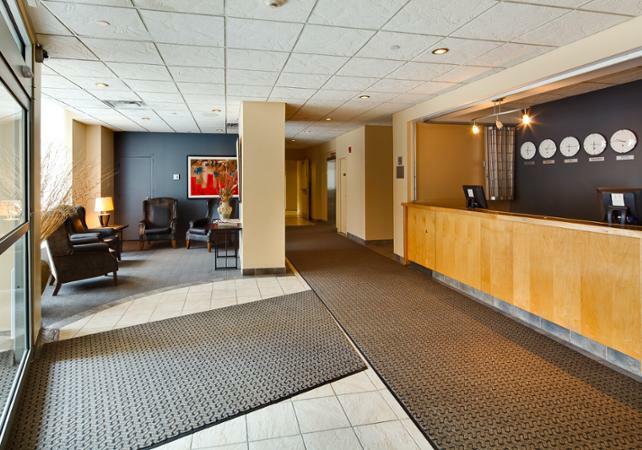 Take your time settling into Les Suites Labelle, your 3* hotel in the heart of Montreal, before enjoying some free time to explore the area. 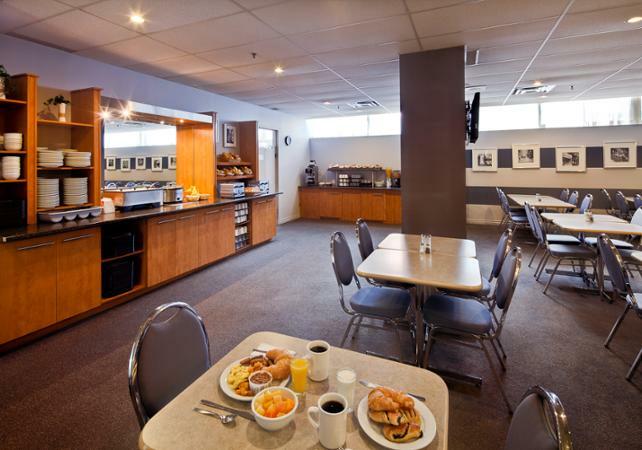 In the morning, travel through the heart of Montreal by bus and admire the city’s most breathtaking sites, such as the Notre-Dame Basilica, Old Montreal and Mount Royal. In the afternoon, you will be free to carry on exploring the city at your own pace. 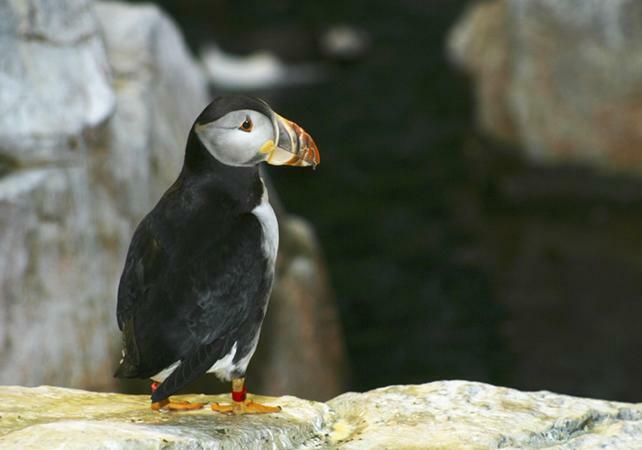 You could spend it at the Montreal Biodome using your ticket. 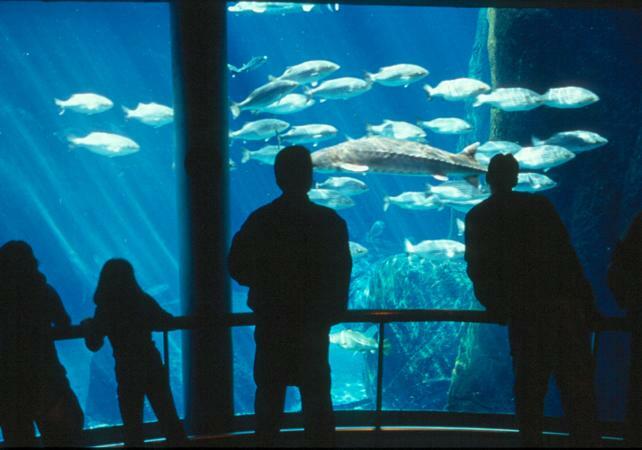 The Biodome is a unique site that brings together 4 ecosystems and contains numerous species of plants and animals (tropical forest, Laurentian forest, Gulf of St. Lawrence and North/South Pole). 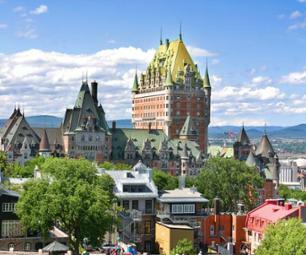 Excursion to Quebec and the Montmorency Falls by bus: explore this charming city and enjoy your guide’s commentary. Then, marvel at the impressive Montmorency Falls, which are even higher than Niagara Falls. 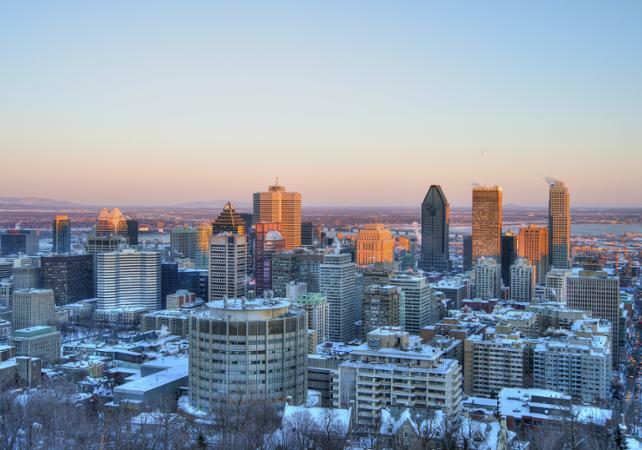 Winter excursion to Mount Royal (available from mid-December to mid-March only): Climb to the top of the mountain and enjoy the superb views over the city of Montreal. 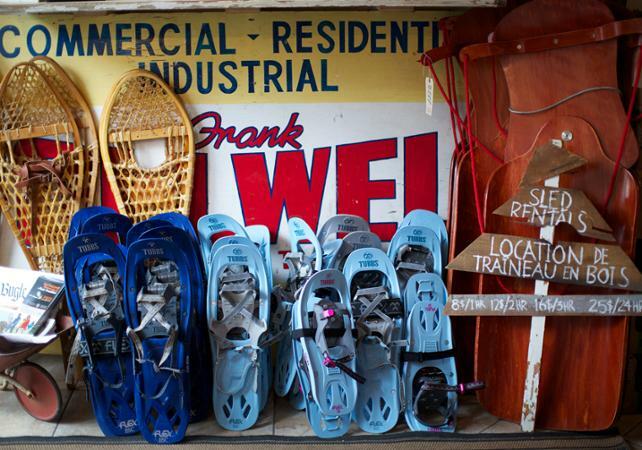 Snowshoes, ice skates and even wooden sleds will all be available. 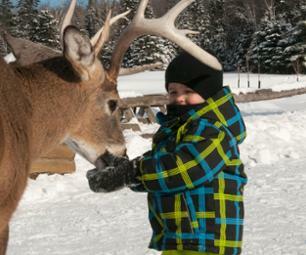 Woodsman excursion (available from mid-December to mid-March only): spend a day in the shoes of a trapper. Snowshoe walking, forest survival initiation, shelter construction, a snowmobile ride (as a passenger) and a visit to the sled dog kennels will all be on the menu! Free day: You can choose none of these options and organise your own day out. 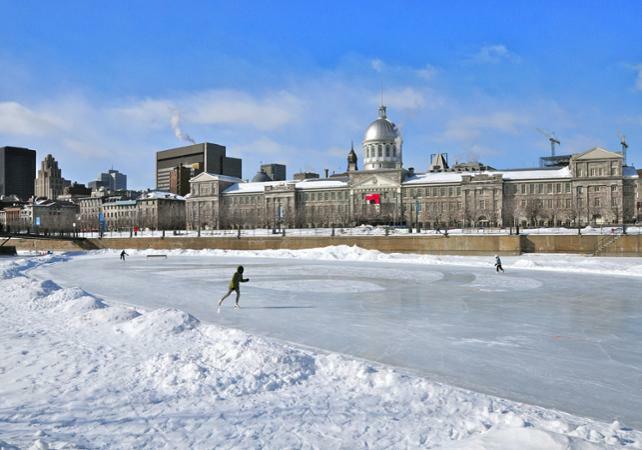 Make the most of this last day to explore Montreal at your own pace: Old Montreal, the Old Port, etc. For this activity, we request that you book the number of rooms required. 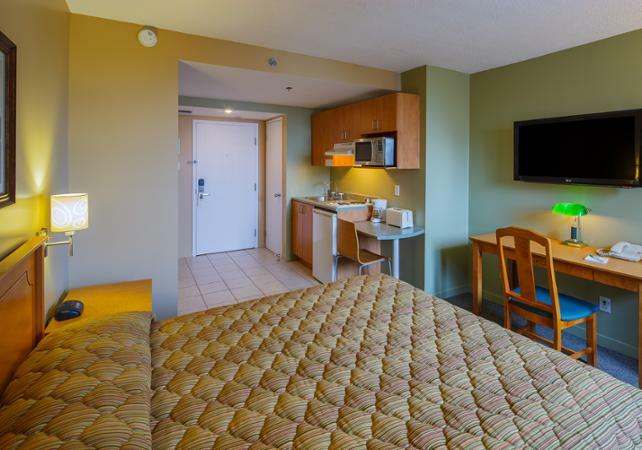 Example: by booking one “Room for 2 people", 2 people can take part in the activity and will share a room. 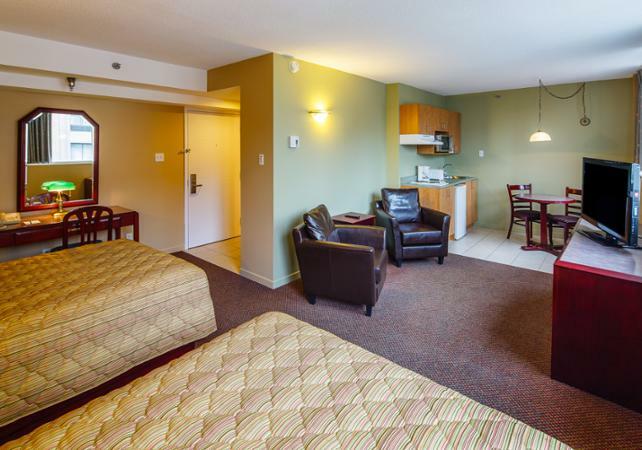 The price advertised is the price per person based on a booking for a room for 4 people. 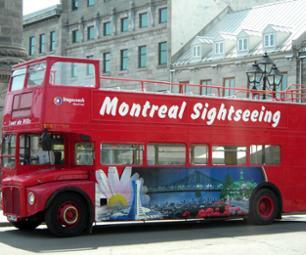 Bus tour of Montreal on day 2: departs at 11am (in the winter)/9am (in the summer).